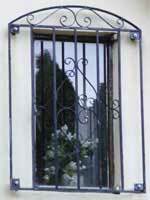 Wrought iron gates, railings, juliette balconies. This web site is currently under going changes, and to avoid issues this is being done a page at a time. 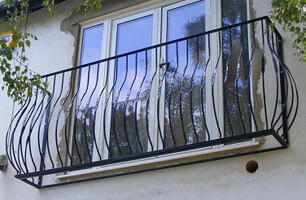 Last updated: 15 March 2016.
wrought iron gates, wall railings, juliet balconies and balcony railings, metal fencing all made in our workshop based just outside Crawley, West Sussex. 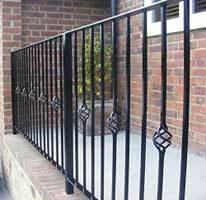 Where we serve the local areas of West Sussex, East Sussex, Surrey and Kent as well as South London. 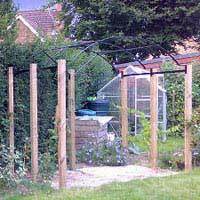 Individually made wrought iron work give flexibility in design, allowings making what you want, in a size and design to suit your needs. 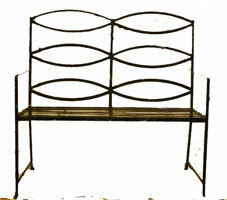 We are happy to make iron according to designs provided with our customers, or we can aid you with ironwork designs. 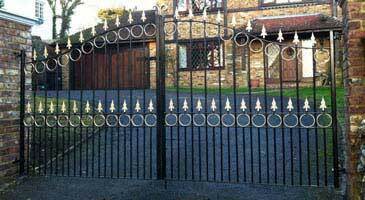 We now have a range of set piece wrought iron gates and wrought iron railings which can be made at very competitive prices. 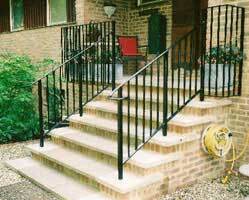 Gate designs along with Railing designs and price will follow shortly.